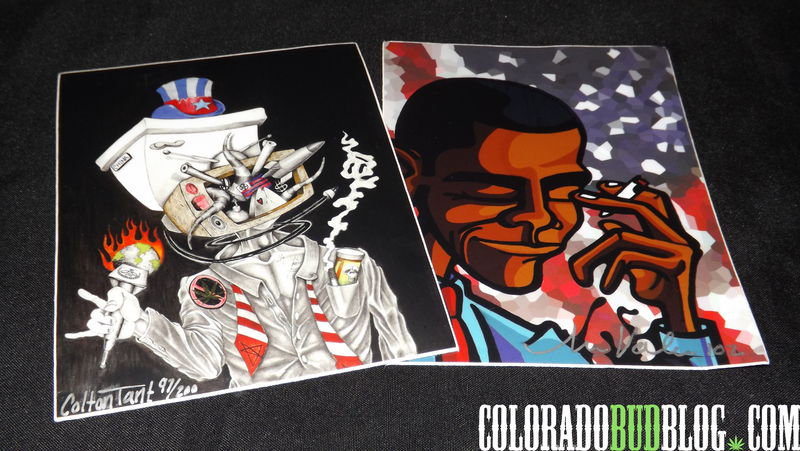 Torch Art is a new line of butane torches made by Errly Bird, the same company that makes the Budder Blocks. 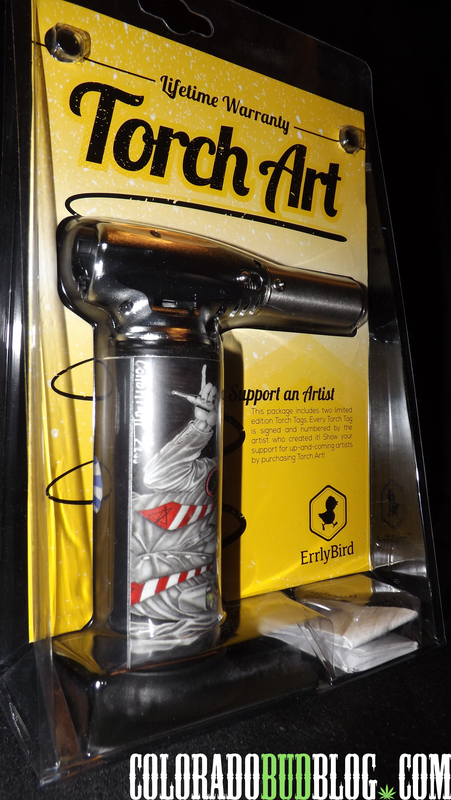 ErrlyBird backs their torches up with a lifetime warranty. If your torch stops working for any reason, just send it in and they will send a new one! The first torch that I received wasn’t working that well at all, but the owner of ErrlyBird is so generous that he promptly sent me a new one without even sending in the old one, and this one works great! It lights every time, and has a big butane tank that fills up quick. 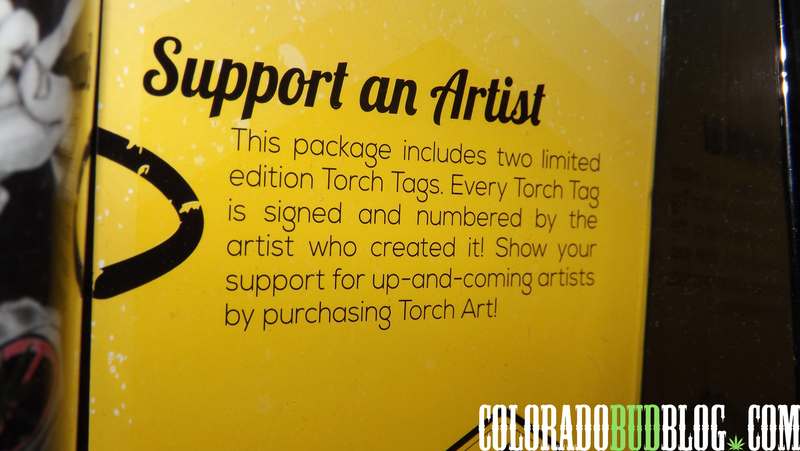 These torches are unique because they feature limited edition artwork from up-and-coming artists, so purchasing a Torch Art Butane Torch will support an artist! As far as torches go, it is pretty standard. It has the flame type adjustment lever, continuous-flame lock, removable base, and flame size adjustment lever. Any standard lighter butane will work, and the torch fills up quick! Just make sure you don’t overfill it: once the butane starts spraying out the sides of the nozzle, you’re good to go. 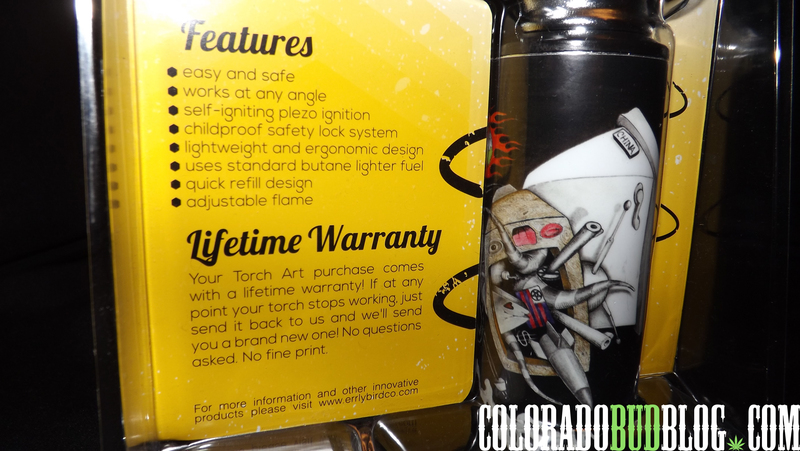 The artwork on the this torch is pretty crazy, and it even comes with an extra “Torch Tag” if you want to change it up! So after I received a new torch, I really like the Torch Art Butane Torch. It ignites every time, has a nice pencil tip flame, and has a large tank so you don’t need to refill very often. The size of the torch is perfect, not too big, not too small. I would say that the lifetime warranty is probably the best part about it, but if you take care of your torch you probably won’t even need to send it back! 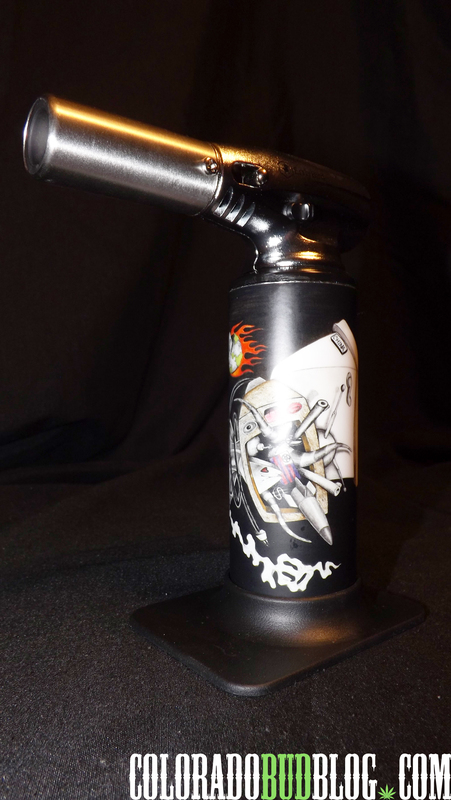 If you’re in need of a new torch, and you want a unique one with some cool artwork on it, check out the Torch Art Butane Torch from Errly Bird. Find Errly Bird online at http://www.ErrlyBirdCo.com, and keep your eyes open for the new “Platinum Cured Silicone” Budder Blocks!